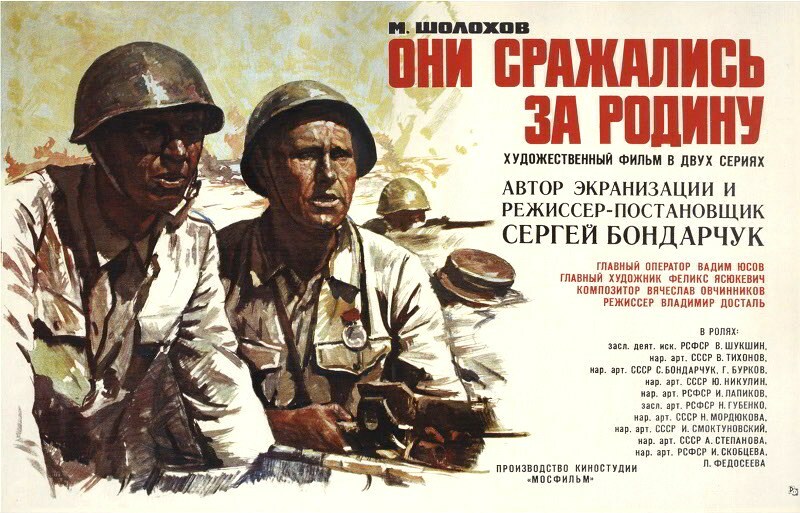 They Fought for Their Motherland (Russian: Oni srazhalis' za Rodinu) is a film is based on the eponymous book by Mikhail Sholokhov. The action is set in Russia in July of 1942 during the Second World War. The advancing Nazi Armies are approaching Stalingrad. The Russians are exhausted and outnumbered. But in a bloody battle the invading Nazi Armies are stopped at Stalingrad.